Be the best you can be and don’t be a phony. I think whatever job you’re looking for, employers tend to see through phonies pretty fast, so be yourself. Don’t forget the lessons you learned in sport and competition, because competition is what life’s all about. You keep score. It’s life. Be true to yourself, and if you’re comfortable with who you are and what you’re doing, then that’s what counts. Be who you are. Don’t try to be what somebody else wants you to be, because it ain’t going to work. Coach Laurie Schiller grew up on Long Island and attended Rutgers University, where he fenced and received his bachelor’s degree in African and Afro-American Studies in 1972. He came to Northwestern and received a doctorate in African History in 1982. 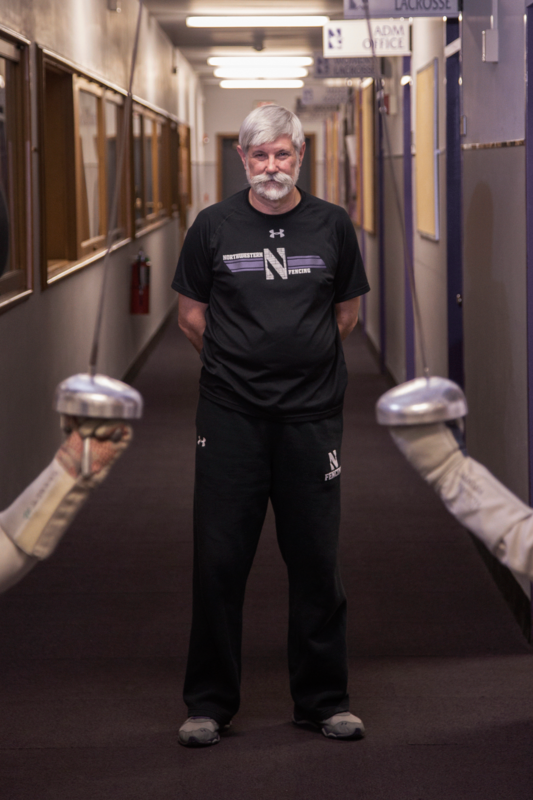 Schiller aspired to be an African history professor, but while he waited for a job offer in that field, he began coaching the NU fencing team and never left. Now in his 37th season, Schiller is widely considered one of the most successful coaches in college history and is one of only two fencing coaches to ever reach 1,000 wins.